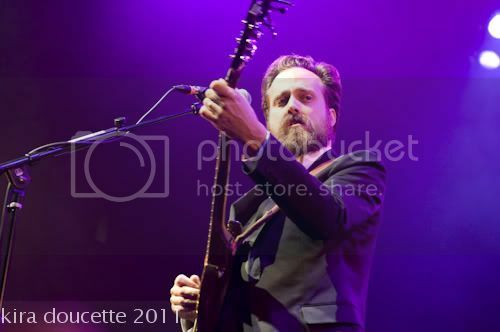 As hot as Iron & Wine is these days, it’s surprising that those of us in Boston have had few opportunities to see them perform live. The recent show at the House of Blues was only the second time that I have seen them in the flesh, even though I have been a fan for many years. 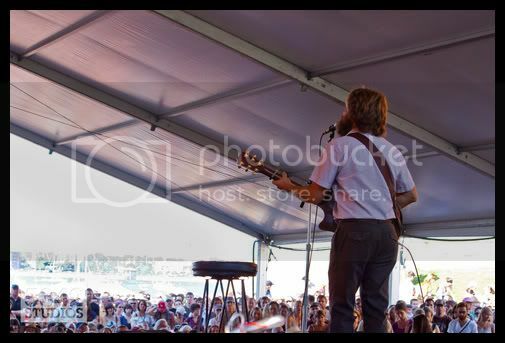 The first time was at The Newport Folk Festival in 2009. 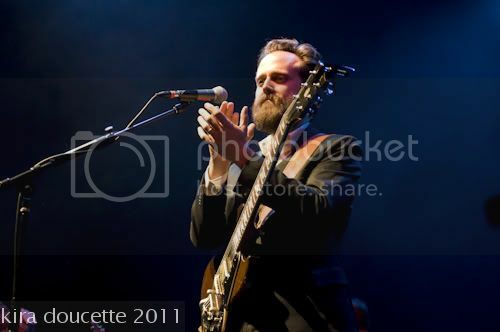 At the 2009 Newport Folk Festival, Iron & Wine was Sam Beam accompanied by nothing other than his guitar. The tent was filled to capacity and people were pressed around 10 deep to be part of the moment. The dead-silent crowd punctuated the performance with outbursts of thundering applause as he paused between songs. This intimate and emotional affair lingers as a highlight of the festival. At HOB in Boston, you had another packed space. 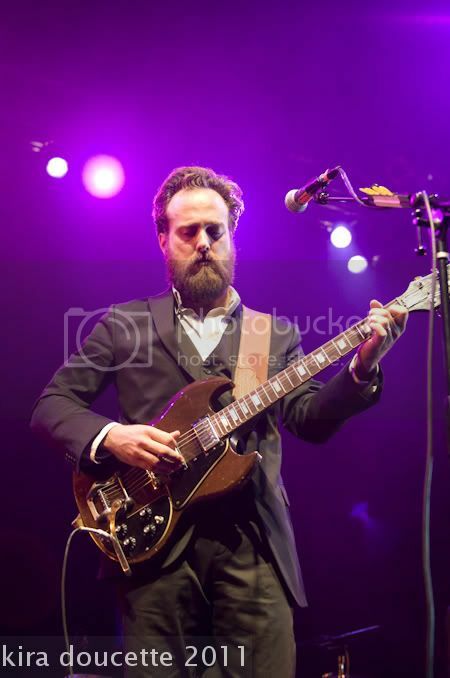 This time the sold-out crowd met Iron & Wine as Sam Beam, along with another guitarist, bass & drums, keys, horns and back-up singers. (Hell, at the show I said the only way they could have been more different, was if he started spinning records). Despite a full band you could still hear a constant yammering of the crowd, who seemed more interested in being there than listening to the music. I have never seen two shows by the same artist that were so different, while at the same time, (fundamentally) the same in their greatness. This is no mystery when you compare the Around the Well double album compilation from 2009 and the most recent album, Kiss Each Other Clean. Both of them are “Best of” for their respective years. However, one is a brilliant compilation and continuation of the folk tradition, while the other combines that folk with some sort of 70s electronic-inspired R&B with a dash of smooth jazz and funk and occasionally something Fleetwood Mac-ish....or something. I won’t say it is like Dylan going electric--that would be hyperbole. However, I will say this: Sam Beam demonstrated a true mastery of his music. He delivered the new stuff with the passion and expertise that you would expect. Then, he took his earlier work and performed it (with this new vibe) as if it had been written for the latest album (Holy Crap! That’s “Boy With a Coin! !”) while never losing the essential character and power of those songs. It was something truly special. 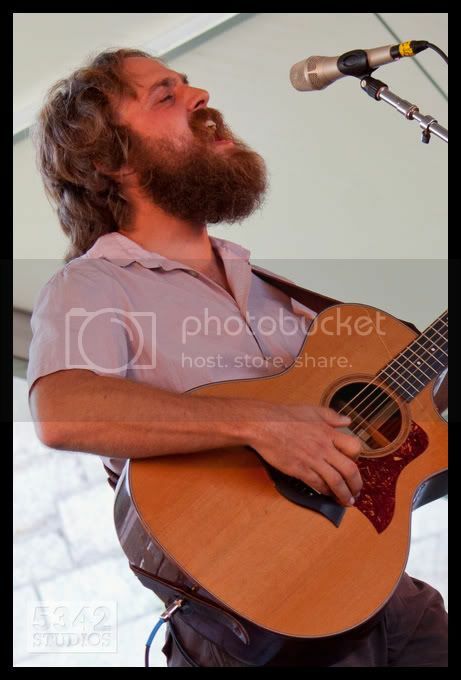 If given the chance, do not miss Iron & Wine.